Before I mention why you need this tool kit, I want to tell you the reason why I created it. 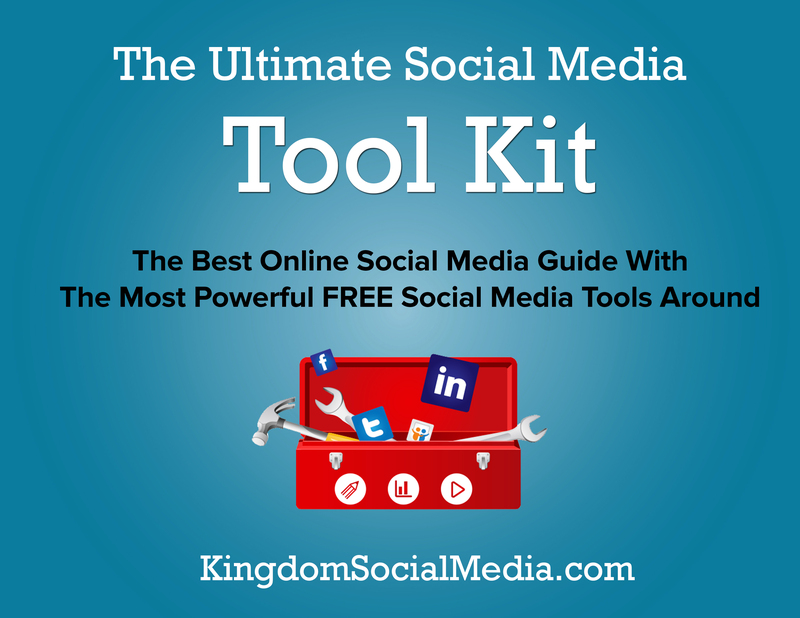 As a social media marketer, I’ve read about so many great tools over the years. Some I’ve bookmarked, others are stored on my Evernote, and some I’ve completely forgot about. If you are anything like me, you don’t have one central location to access all your tools. I initially made this guide for myself and then thought this could be useful for many others using social media to promote businesses, organizations and causes. 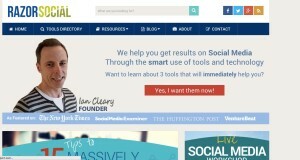 My inspiration for creating the “Ultimate Social Media Tool Kit” comes from Ian Clearly of Razor Social who is the world’s leading expert when it comes to social media tools! Sometimes having a lot of information can be overwhelming. The worst part is when you have the information you need, but don’t have an organized system for finding the info when you need it. 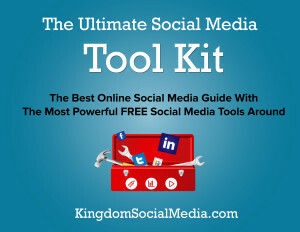 World-renowned speaker and author John Maxwell says, “The number one waste of time is looking for things we’ve lost.” That being said the Ultimate Social Media Tool Kit helps you by having all the tools that you’ll need for social media in one place on one PDF. Of course not every tool is on here but you can go to Ian Clearly’s site for his tool directory, which houses a complete list of tools. Finally, you can have a comprehensive guide of the best social media tools without having to remember everything! The other annoying thing about social media tools is not knowing which tools work the best and for what purposes. I have the privilege of working in the social media field each and every day, but the majority of people don’t have the time like I do to test out what tools work well and what tools don’t. This tool kit is not just a list of tools, it’s a list of the best tools for specific categories. I use each of the tools listed in the guide on a weekly basis so I’m confident they will serve the needs you have. Some of you may have a list of tools, you may even have them organized but not everyone knows the distinct purpose of each tool. For example, Agora Pulse has one of the best FREE Facebook timeline contest tools that allows you to do quizzes, photo contests, and sweepstakes. In addition they have a complete social media dashboard that enables you to manage your social networks, publish content, run contests, manage CRM, and create reports. Here’s one more example: Heyo is a social media software company that makes it easy for you to create contests, sweepstakes, and landing pages specifically for Facebook. A lot of times people know of a tool but they don’t know the optimal uses of the tool so that’s why this tool kit was created to help you. I believe this is the number one reason that most people look for tools. They want to save time and multiply their efforts. I know the tools in this tool kit will help you to do that if you are consistent and diligent. What good is it to have access to great tools but not utilize them? There are audiences out there that we are all supposed to reach but if we have not taken the time to create systems to attract, maintain communication, and eventually deliver products and services to them we have failed. I highly encourage you to download the Ultimate Social Media Tool Kit today and build your social media presence in the most efficient and effective way possible. Do you have any favorite social media tools below? List them below! David D. Simons is an entrepreneur and media enthusiast who utilizes his off line and online skills to promote brands, increase businesses, support causes, and build relationships. His passion and excitement for media has attracted the likes of Fortune 500 companies, non-profits, churches, and entrepreneurs.